Congratulations Wilmot Elementary’s Green Team Superheroes for achieving the Eco Schools USA Bronze award in May 2018! Along with this award, the Green Team Superheroes won $400 worth of energy saving LED lights from Jefferson County Public schools as a prize for saving our school $1300 in energy expenses. To win these awards, a group of 14 Green Team Superheroes worked with Mr. Cormier, and parent, Lisa Dewil week after week to help reduce the amount of energy our school consumed. mingling with Bergen Elementary’s new Green Team as our team helped theirs present for the first time. During the Fall 2018 semester, the Green Team Superheroes reduced the amount of waste the school consumed by conducting Eco Schools USA Waste and Consumption audits. 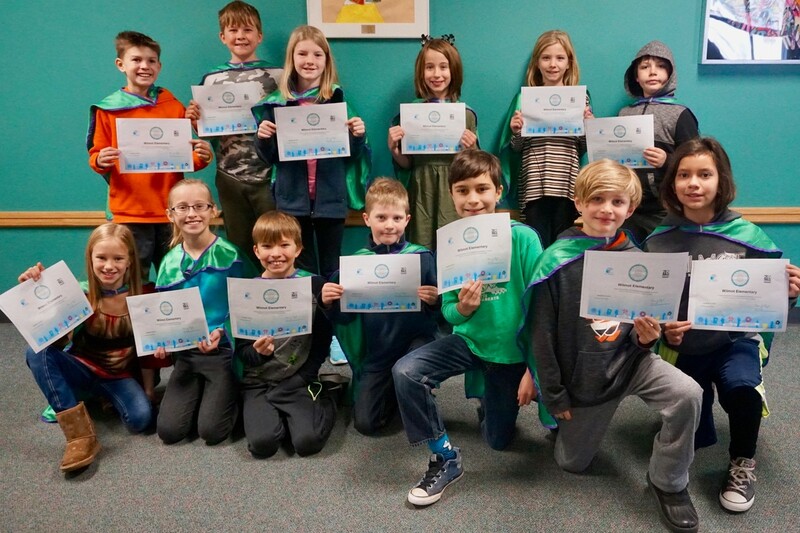 As a result, the Superheroes have implemented and monitored national waste reduction programs such Terracycle and ColorCyle while leading a contest against another community elementary school. 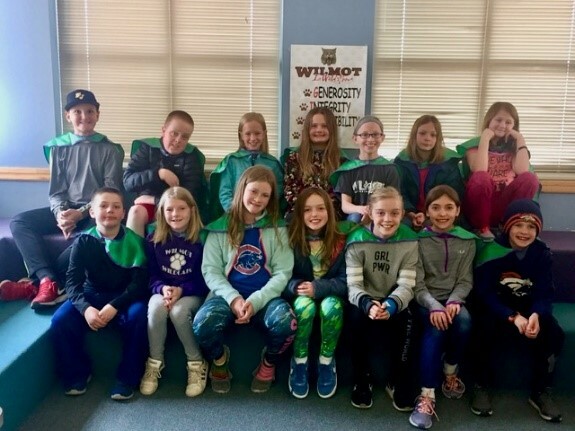 Although it is a group of 14 Green Team Superheroes leading the way, it is the collective effort of their teachers, the staff, and all Wilmot Elementary students that make our achievements possible. Congratulations to the Wilmot Elementary Green Team Superheroes for achieving the Eco-Schools USA Silver Award! This award is achieved by completing two Eco-Schools USA Pathways to Sustainable Development. The first Pathway was completed last year when the team focused on reducing energy consumption. Each Superhero was assigned a classroom to lead and monitor while they conducted energy audits and implemented school wide energy savings contests. Their actions led to lights being taken out of the ceiling and teachers committing to turning their lights off more. Plus, unnecessary electronic devices were taken out of classrooms while other electronics were unplugged. As a result, the school energy consumption fell by 10% and the Superheroes received the Eco-Schools USA Bronze Award along with $400 worth of LED lights from JeffCo Public School’s Energy Department. This past fall, the Superheroes built on that success by focusing on the second Pathway to Sustainability, Waste and Consumption. They proudly wore their capes and collected and weighed the waste for the classroom they were assigned and lead the school in a waste reduction contest versus Bergen Valley Elementary. They encouraged their classroom to take on waste pollution by reducing food, paper, and plastic bottle consumption while collecting bottle tops, dried up Crayola markers, and GoGo Squeeze pouches. Their efforts lead to Wilmot Elementary being award the Eco-Schools USA Silver Award. Although it was a group of Green Team Superheroes leading the way, it was the collective effort of their teachers, the staff, and all Wilmot Elementary students that made our achievements possible. So, thank you Wilmot Elementary. Together we made a difference.